When you get stone floors installed in your house you want to add some elegance and beauty. Natural stone is a great choice for any home and the stone comes in many shapes, sizes and colors to best fit your homes décor. You want to make sure that you know what type of stone you have in your home so that you know the best way to care for it. The stone should be cleaned, polished and sealed no matter what stone you choose. Depending on the stone you can pick from several polish levels that each have their own shine. The stone tiles are quite durable but that does not mean that they are not going to be damaged or become dirty. The stone needs to be cleaned properly and with the right technique to make sure that they are cleaned and not harmed. 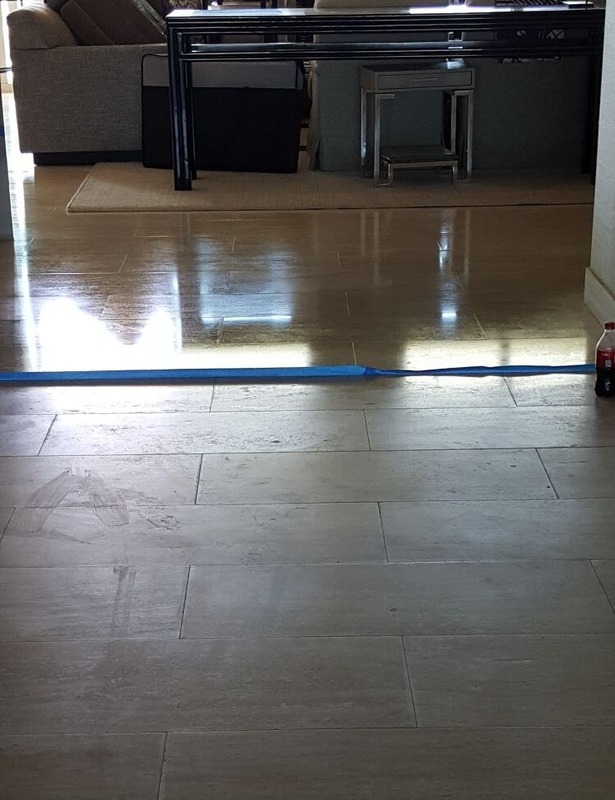 There are several ways that your stone floors can be damaged. 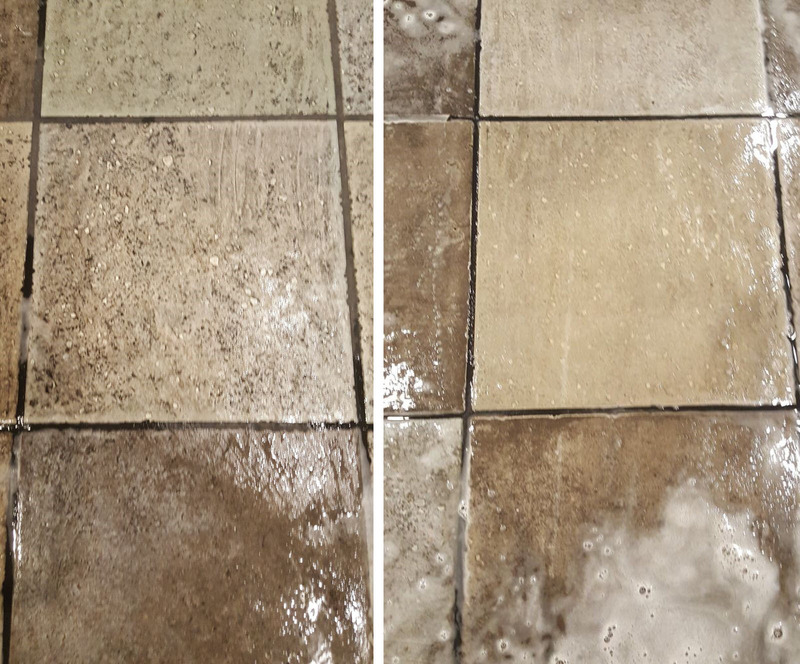 Tile & Grout Haze on Natural Stone: If you notice that your stone floors have a hazy look to them and they are not holding a shine or even if they are not coming clean with your home remedies it can be the result of hazing. The term hazing is not actually mean that your stone floors have been damaged. 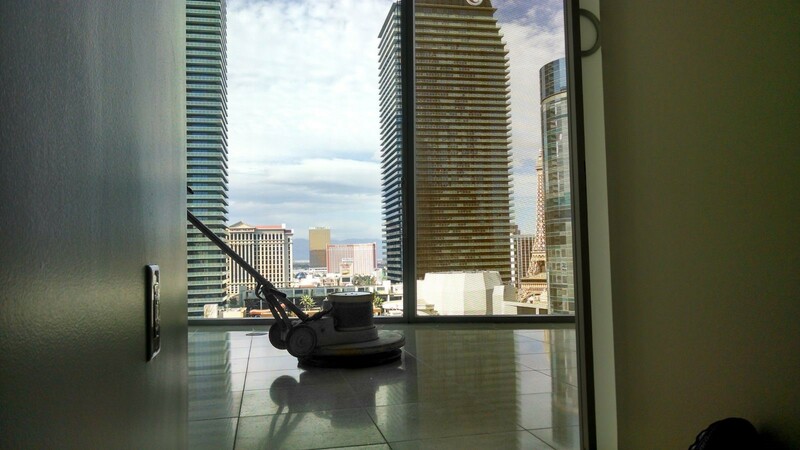 It does mean that the floors are being cleaned with the wrong cleaners. This is the most common cause of hazing. 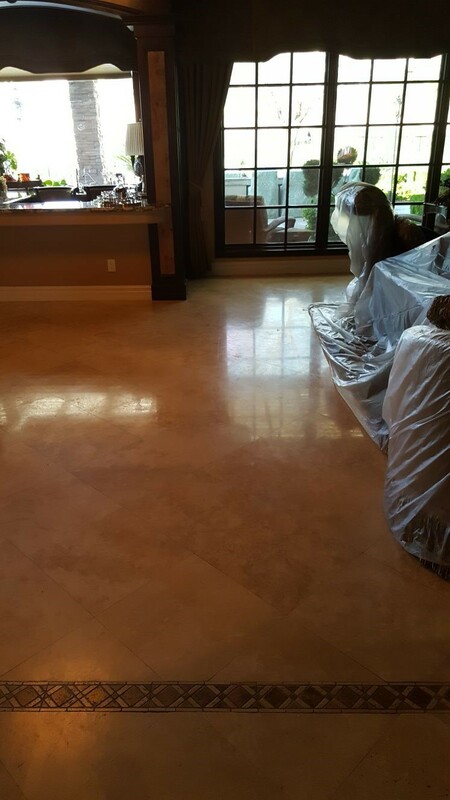 Stone should not be cleaned with standard floor and tile cleaning chemicals because it will start to build up on the stone. The good news is that if this is what is going wrong with your stone tile it can often be reversed. 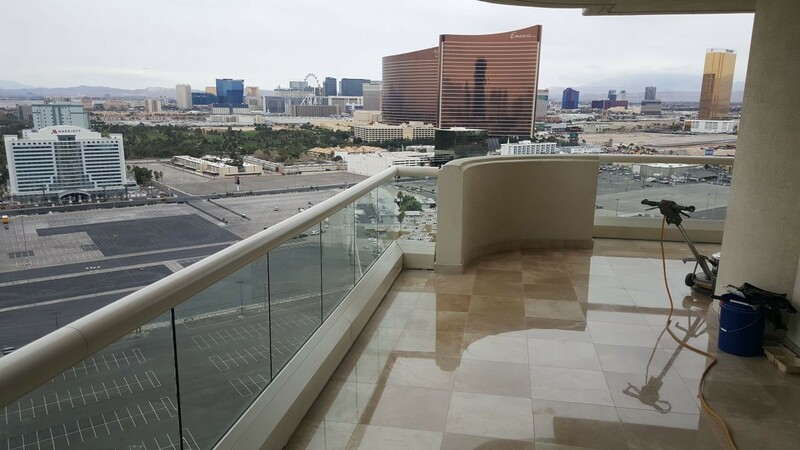 It will take the expertise of a professional stone cleaning company that can strip the buildup off and polish the floors and reseal them as well. 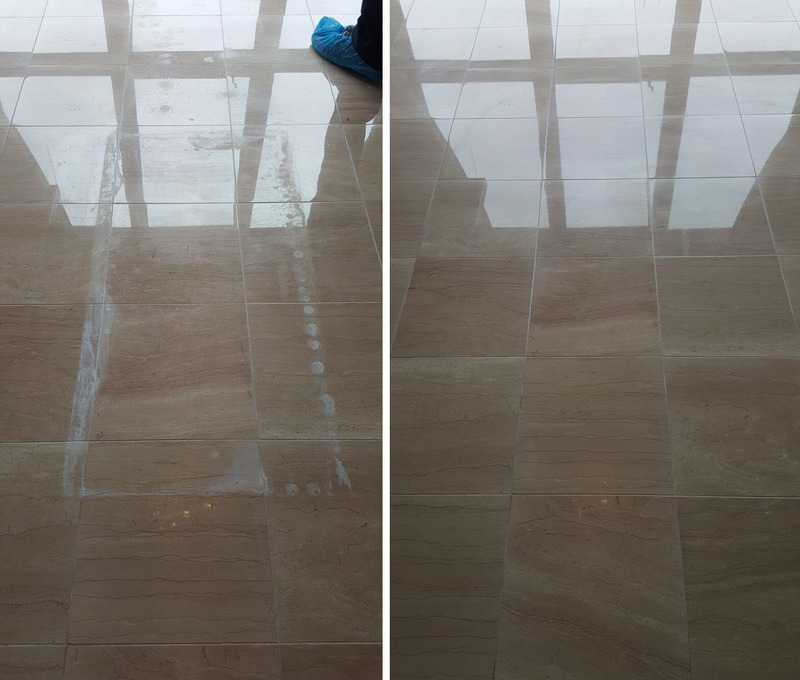 Hard Water & Other Stains on Natural Stone: Most people are looking for a floor that will not stain easily, withstand foot traffic and is easy to clean. 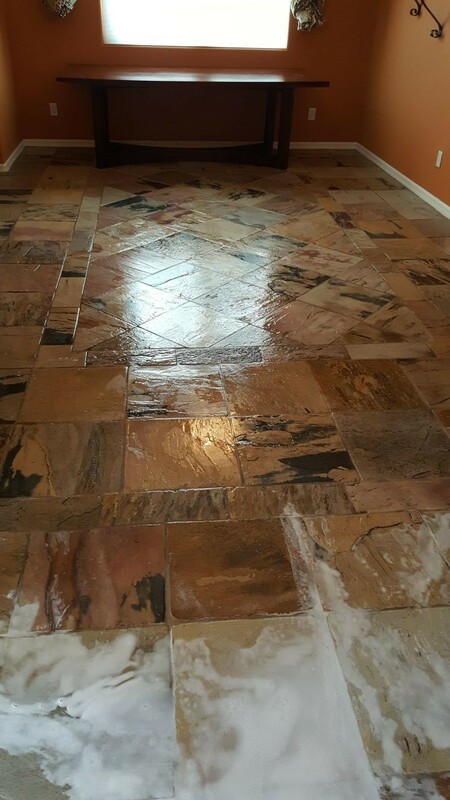 Although using a stone floor is the best way to accomplish all of these they still can have staining occur. 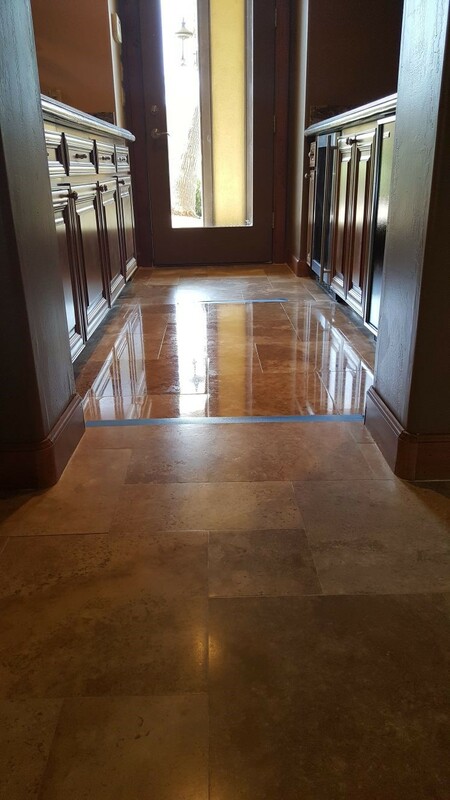 Most of the stone floors have some level of porousness and that means that if something is spilled it can cause a stain. If there is a spill that is dark in color it can soak quite fast into the stone floor and cause a stain to occur. You want to try and wash up the spill right away. If the stains persist on the floors it is best to call in a professional to treat them. 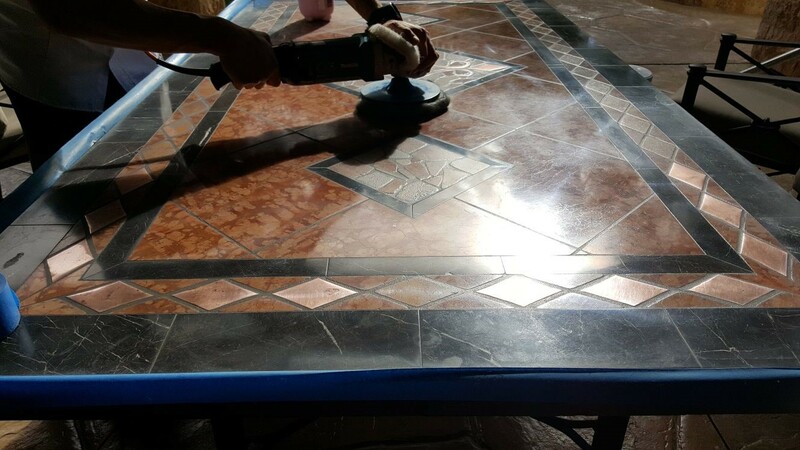 We can apply a treatment to the area to reduce or remove the stain. 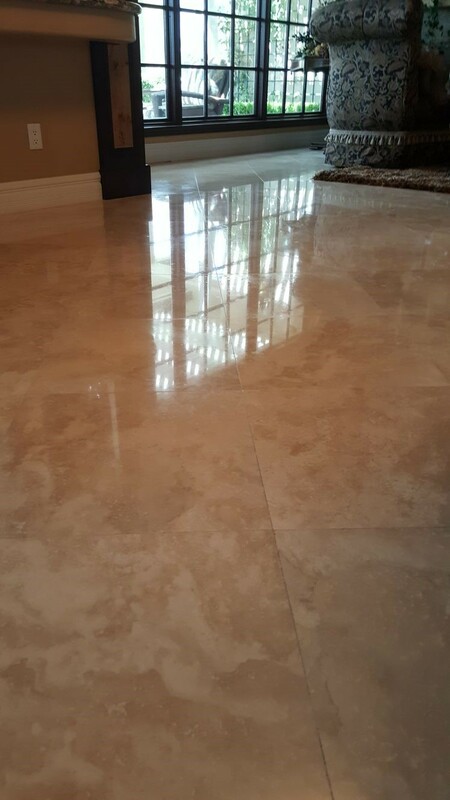 Etching on Marble & Other Natural Stone: If you start to notice that your stone floors have damage that looks like a stain where the polish has worn off then that is referred to as etching. This is from a reaction that your stone has to something that is acidic. The acid will eat away the polish and the sealant and cause this to occur. 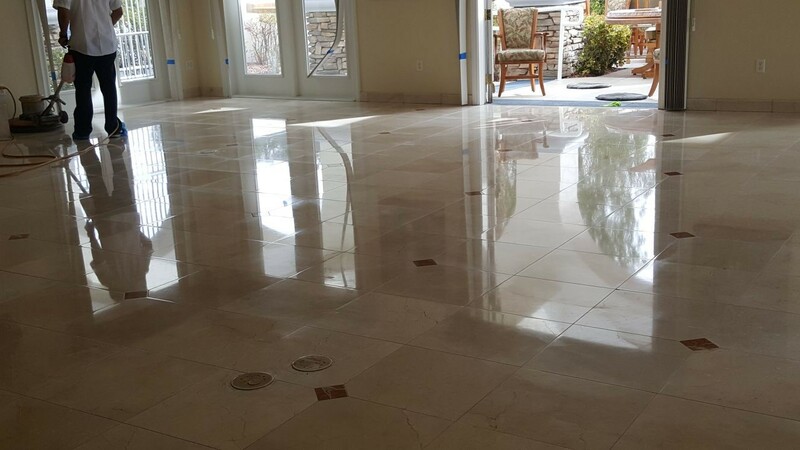 The etching can be avoided if you have your stone floors cleaned, polished and sealed properly by a professional. 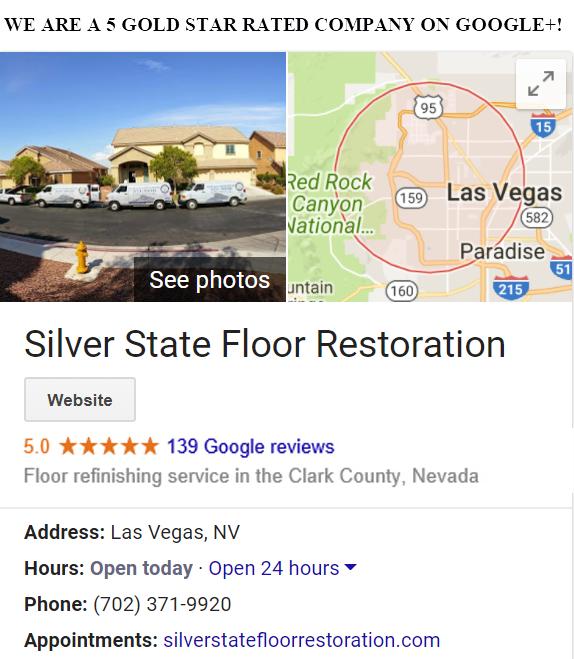 Silver State Floor Restoration can come and clean, polish and seal your stone floors to help avoid them becoming damaged. Call us today!